With the exclusive safety offered from Ward's® Chemistry, these storage cabinets provide ample room to house hazardous chemicals. 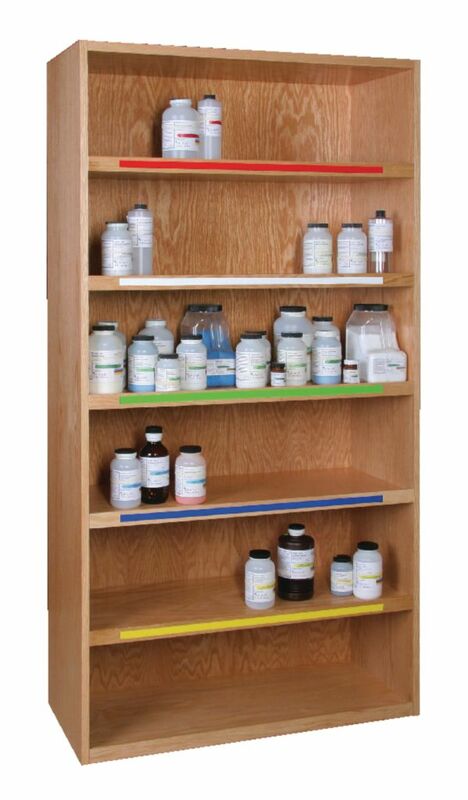 The open-shelving style of each unit allows for a clear view of all chemicals inside. For added safety, anti-roll lips are featured on each shelf. A UV chemical-resistant finish coats the top, back, and sides of each unit. These Ward's® cabinets can be custom designed to fit any laboratory. Call for customizing details.